Google’s flagship smartphones are generally the last to arrive in the year, long after Samsung and Apple have revealed their hand. This can be both, a good and a bad thing. The good part is that it gives Google time to monitor the trends, gauge user reactions and feedback from what’s already in the market, so it can tweak and fine-tune the design and experience of its Pixel phones. On the flip side, majority of buyers would have already pulled the trigger on their new phone, which leaves mainly Pixel loyalists or those undecided few hoping to snag a deal from the holiday season sales. Plus, before we know it, we’ll have MWC again, where new Android phones with newer hardware will be unveiled, putting the Pixels in a bit of tight spot. In any case, Google seems to be sticking to its October launch schedule and right on cue, we now have the logically named Pixel 3 and Pixel 3 XL smartphones. This duo replaces Google’s Pixel 2 (Review) and Pixel 2 XL (Review) phones, which had their share of shortcomings, to put it lightly, but managed excel in the camera department. The new series have some big shoes to fill in that area but has Google managed to fix the other niggling issues that plagued its predecessors? Are the Pixel 3 and Pixel 3 XL true flagships, in very sense of the word? We’ve spent a couple of hours with them and here are our initial impressions. Before we go ahead, let’s just say that most of the rumours you’ve seen and read thus far about the phones have all been spot on, making the new Pixel phones easily two of the worst kept secrets in recent times. In the box, Google now ships a Pixel Buds-style USB Type-C headset in the box, which is nice and you still get the Type-C to a 3.5mm dongle too, for legacy headphones. Rest of the accessories are similar to what we had last time and the quality is once again top-notch. The Pixel 3 and the Pixel 3 XL feel incredibly premium, even more so than last year’s offerings. 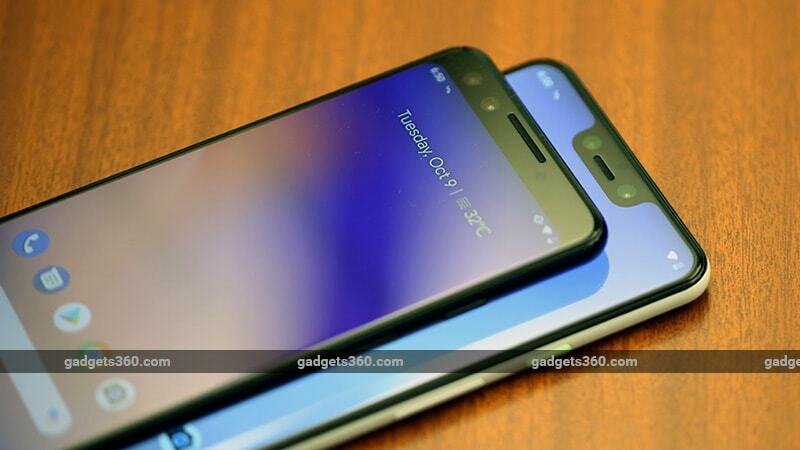 One of the reasons for this is because Google has ditched the matte coating for the aluminium frame and has gone with a gloss finish for the sides and a glass back. Three quarters of the rear glass has a frosted coating, which gives it a nice texture and also adds some grip to what would have otherwise been, a very slippery surface. The Pixel 3 is of course the more comfortable one to hold and it’s lighter too, which we guess, many would prefer. It doesn’t have a notch but instead, you get a 18:9 aspect ratio with heavily rounded edges. The latter does cause some minor aesthetic inconsistencies when displaying things like the time and battery indicator in Android, which nearly touch the display. Compared to the XL model, there's a lot more spacing here, which just makes it look a bit better. The full-HD+ resolution is lesser compared to the XL, which is QHD+, but with both phones pushing more than 400ppi in pixel density, it’s nearly impossible to tell the difference. The pOLED panel of the Pixel 2 XL was riddled with issues from the get-go but this time, things seem to be better, sort off. Both phones use “flexible OLED” panels and at a 100 percent brightness, the Pixel 3 seems to have crisper whites and is a tad brighter too. Both phones appear to have a slight colour shift though, when you view them at an angle, with the Pixel 3 leaning towards a warmer, reddish tone while the Pixel 3 XL veers a bit towards the blue. It’s certainly not as prominent as last year’s issue and is only noticeable on white backgrounds. Other than this, colours are punchy and nicely saturated even with the colour profile set to ‘Natural’. We’ll be testing this further to see how it affects games and everyday, use so stick around for our full review. Both phones have a single SIM slot at the bottom, stereo speakers that get pretty loud and no headphone socket. There’s a new dual front camera system, which let’s you capture regular or wide-angle selfies and a bunch of new camera shooting modes. The Just Black colour on the Pixel 3 looks good but what really caught our attention was the Cleary White on the Pixel 3 XL. Speaking of the Pixel 3 XL, it’s really hard to not talk about that notch, and boy, it’s a big one. We’ll reserve our verdict on this for now and see if it grows on us after using it for the next couple of days. It doesn’t seem like Google really had a choice with its design since fitting in two cameras and the earpiece would take up room. It could have ditched the notch all-together but then with Android Pie getting official software support for the notch, what sort of the example would that be setting? Given that Pixel phones have generally been the blueprints for getting the best out of Android, Google had to show the others how it's done. In terms of specifications, both run on the Snapdragon 845 mobile platform, sport 4GB of RAM and non-expandable 64GB of internal storage. They are both IP68 certified, support wireless charging, and run on stock Android 9 Pie. So, what’s all this going to cost you? Well, the Pixel 3 starts at Rs. 71,000 while the Pixel 3 XL starts at Rs. 83,000. This is a Rs. 10,000 bump in price compared to last year’s model, which was to be expected we guess. It’s definitely going to be a challenge for Google this year, considering how competing flagships from Samsung retail for much less these days. The Pixel phones have always been about the camera but when you go this high up the price bracket, people are looking for the best all-round experience, which Google needs to nail. From what we’ve seen, the Pixel 3 and Pixel 3 XL seem like a definite step-up from their predecessors in terms of design and the way they feel. The question is, are they worth it? We’ll be testing them over the next couple of days so stay tuned for the full review coming soon. 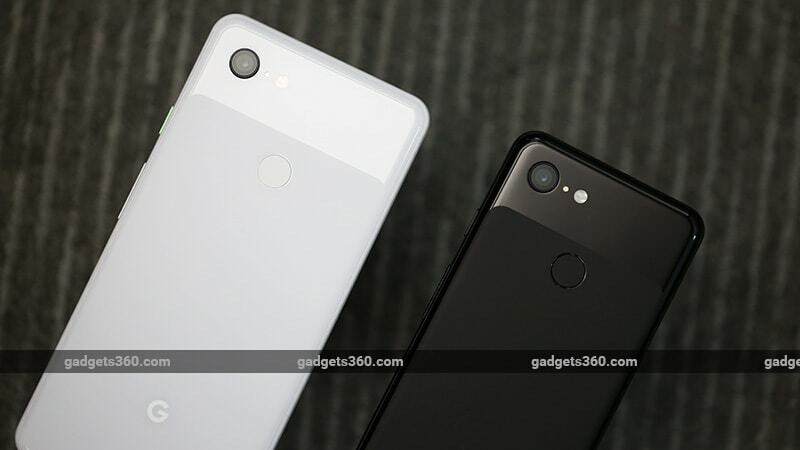 product Pixel 3 and Pixel 3 XL are the latest flagship Android phones from Google with a starting price in India of Rs. 71,000. We go hand-on to see what's improved.